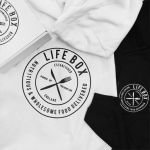 Every Lifebox features a balanced variety of lovingly handpicked, nutritious, wholesome and delicious snacks, drinks, ingredients and wellness products, designed to kick start or enhance a healthier lifestyle. Lifebox takes you on a journey of discovery, introducing you to exciting new products that fuel your body and mind, and make YOU feel good. It also makes an ideal gift for the health-conscious foodie! Lifebox Energy is a monthly changing box containing 10-15 100% natural products, each designed to support activity and recovery for both men & women. January's box also includes a special feature product - full size PrizMAG supplement worth £24.95! Be the first person to tell us what you think about Lifebox Energy and you'll save £2.50 on your next purchase! 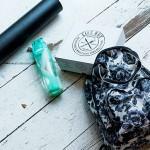 Subscription boxes are despatched in the first 5 working days of each month.